My copy has the b-side label missing completely, does that count as the same release? Both sides of this fabulous 45 are Northern Soul in flavour. 'Breaking Down the Walls of Heartache' is a fast paced dance number. 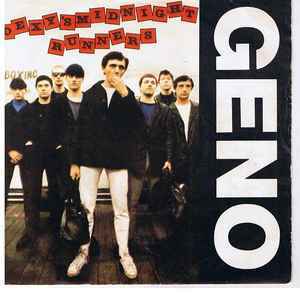 'Geno' is a classic the builds to a crescendo and invites the listener to stomp along with an insane grin of pleasure. Fabulous.